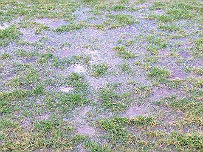 Presteigne St Andrews FC’s scheduled MMP with Norman Lloyd League, second-division game at Four Crosses on Saturday, 9 February has been postponed. Four Crosses officials indicated a couple of days ago they had concerns about the state of the pitch and so it came as no great surprise when the news came through on Saturday morning. This was especially true given the heavy rain that hit mid-Wales (and other parts of the UK) overnight. But there is better news over the Reserves’ Mid Wales League (South) fixture at Brecon Northcote Reserves. We are advised it is very much ‘game on’ in that one and so there will be some football for the club to enjoy this weekend. Here’s hoping Alan Stocker and Tom Ammonds’ side can return from that one with something to show for their efforts. The Ressies’ game at Brecon Northcote is due to kick off at 2.15pm.